The Jungle Lore Birding Lodge lies in the village of Pangot near Nainital, in northern India in Uttarakhand Province. It is not a luxury lodge but has running water and ensuite cottages and is perfectly adequate for keen birders wishing to see the regions special wildlife which includes Lammergeier and Cheer, Koklass and Khalij Pheasants. Leopards are sometimes seen by the lodge itself as they hunt for the local monkeys. 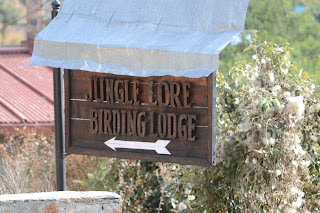 The staff are very helpful, birding guides available, there is a bird book library and the food is authentic local fare.